Want to collect 'em all? This is an important step on the journey there! Not all Pokemon need to evolve to change status or the way they look. Over the series, there’s been a growing number of Pokemon that change forms according to what items they hold, their environment, moves used in battle, and an assortment of other special conditions. While these changes in form might be intuitive or even explained explicitly to the character in each Pokemon game’s of origin, in Pokemon Omega Ruby and Alpha Sapphire, many of the processes needed to change these Pokemon’s forms are fairly obtuse. 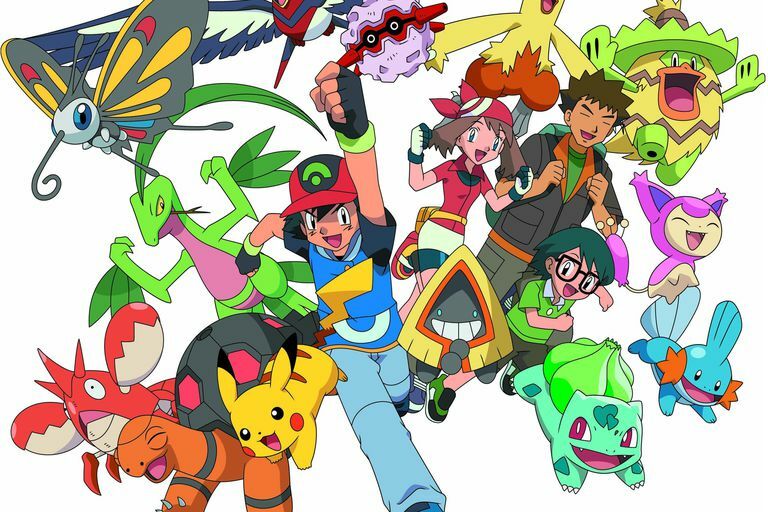 In this guide, we’ll cover every Pokemon that changes form in ways other than evolution, how to obtain them, and what you must do to master their unique abilities. Cosplay Pikachu will more than likely be the first and most obvious Pokemon you meet that changes forms. Your first chance to get your hands on this fashion-crazy Pokemon is just after you finish giving the Devon Parts to Captain Stern in Slateport City. When you attempt to leave the city by its north exit you’ll trigger the introduction to Pokemon Contest Spectaculars. After you participate in your first contest, a Pokemon Breeder will give you your very own Cosplay Pikachu. There are a few more differences between Cosplay Pikachu and a run-of-the-mill Pikachu. Cosplay Pikachu cannot evolve, so trying to use a Thunder Stone to get a Cosplay Raichu won’t work, unfortunately. You also can’t breed a Cosplay Pikachu, so you’re limited to receiving only one per game. Make sure you don’t accidentally trade or release your costumed friend because you won’t get another one! Unown made its debut in Pokemon Gold and Silver, and although in the original Pokemon Ruby and Sapphire Unown was not found in the wild, the remakes allow you to catch all 28 different forms of the letter-shaped Pokemon. To capture Unown you must first have the ability to soar with Mega Latios and Latias. Once you can do that, then wait for Mirage Cave 4 to appear just east of Dewford Town. Once you’re inside the only wild encounters are with Unown. If you’re a real Pokemon Master, you’ll have to set your sights on all 28 variations of Unown to really catch them all. The forms are the letters A through Z as well as the punctuation marks ! and ?. You’ll have to keep track of them yourself too, for as soon as you can catch your first Unown the Poke Ball icon indicating that you’ve captured that type of Pokemon before will appear by its name. It can be time-consuming, but using Repeat Balls can take a little frustration out of it. Spinda has unique facial markings which differ in each specimen. Although the markings don’t affect moves or stats, it is interesting to see the variety of different looks Spinda can have. Unfortunately, since no two Spinda are the same, you’ll never be able to capture every variation. Castform can be obtained by talking to the head of the weather institute on Route 119. This is a fitting locale for Castform as its different forms are brought forth by changes in the weather. Under regular weather conditions in battle Castform is a normal type, but if a move is used that affects in-battle weather then Castform will change forms and its type. Rain Dance will change the Pokemon type to Water. Sunny Day will change the Pokemon type to Fire. Hail will change the Pokemon type to Ice. Obtaining Deoxys is one of the last story-related objectives in Pokemon Omega Ruby and Alpha Sapphire. During the conclusion of the Delta Episode or the Sky Pillar, you’ll face down the Legendary Deoxys. If you accidentally defeat him before you can catch him, don’t worry. You can beat the Elite Four again and Stephen and once you do Deoxys will respawn back in its original location. Deoxys has four different forms, each with different stats. Its original form is the most well-rounded of the four, while the other three focus on attack, defense, and speed. To change between Deoxys’ forms you must have it in your party and travel to Professor Cozmo’s lab in Fallarbor Town. Each time you look at the meteorite in the lab, Deoxys will change form. Burmy is a master of camouflage you’ll have to bring over from Pokemon X or Y. Depending on where you battle Burmy will try its best to blend in with the environment by donning leaves, sand, or even trash. To get it in its Plant Cloak, battle with it in grass, in the forest, or on the writer’s surface. Burmy uses its Sand Cloak in caves or deserts. Lastly, the only way to Burmy’s Trash Cloak is by battling in buildings. Like Castform, Cherrim changes forms according to the weather. To catch a Cherrim you’ll have to obtain the ability to Soar with Mega Latias and Latios and enter Mirage Forest 4, which will appear just north of Lilycone City. The change in form doesn’t affect movesets is stats, but it’s certainly a huge cosmetic difference. When the weather is overcast Cherrim’s petals fold up, making a gloomy cloak. However, when in a battle with intense sunlight Cherrim blossoms, and shows how happy it is to soak up the rays! Shellos appear in the wild on Routes 103 and 110. However, of the two forms of Shellos, only one appears in each game. The pink West Sea form of Shellos appears only on Pokemon Omega Ruby while the blue East Sea form is exclusive to Pokemon Alpha Sapphire. If you want them both you’ll have to trade for the form that doesn’t appear in the version of the game you’re playing. Rotom is a ghost Pokemon with the unique ability to change form and type to take on the appearance of common household appliances. Upon assuming a new form Rotom also gains a new move based on the theme of the form it’s currently in. To obtain Rotom you’ll have to trade it from a copy of Pokemon X or Y where it originally appeared. Rotom’s six forms can be accessed by placing it in your party and proceeding to the Pokemon Lab in Littleroot Town. Once there you can check out the various boxes to change Rotom’s form. Checking the Microwave will earn you the move Overheat. Checking the Washing Machine will earn you Hydro Pump. Checking the Refrigerator will earn you Blizzard. Checking the Fan will earn you Air Slash. Checking the Lawnmower will earn you Leaf Storm. Although you’ll have to trade it into your game from a previous entry in the Pokemon series, Giratina still can gain the ability to switch between its two forms in Pokemon Omega Ruby and Alpha Sapphire, and the Griseous Orb by diving under the sea on Route 130. Once you have it, have Giratina hold it and it will change from its Altered Form to its Origin Form. This change will alter Giratina’s ability from Pressure to Levitate and its stats will change as well. Shaymin was previously obtained via a special distribution event and will be obtainable in the following months as the Legendaries are being redistributed in celebration of the 20th Anniversary of Pokemon. To change Shaymin into its Sky Form you must obtain the Gravideo Flower. To do so, put Shaymin in your party and go to the Berry Master’s house on Route 123. Speak to the younger man and he’ll give you the Gravideo Flower. Once it changes form it changes from a Grass-type to Grass/Flying and its stats markedly alter as well. Arceus is another Pokemon that was made available via special distribution. There may not be a legitimate way to obtain Arceus right now, but if you’re lucky enough to have one, the plates used to change its type are obtainable in Pokemon Omega Ruby and Alpha Sapphire. Most of the plates can be obtained by searching underwater using Dive on Routes 107, 126, and 126-130. However, the Iron Plate is held by the Beldum you can obtain by visiting Stephen’s house after the Delta Episode. Happy hunting! Basculin come in two varieties: One has red stripes, and one has blue. Both forms are found one apiece in Pokemon X and Y. To obtain them in Pokemon Omega Ruby and Alpha Sapphire you’ll have to trade for them. If you have a Darmanitan with the Hidden Ability Zen Mode, it will change forms once its HP drops below half. Upon changing forms to Zen Mode, Darmanitan changes from Fire-type to Fire/Psychic and its stats increase dramatically. You can search for Darmanitan on Mirage Islands 1 or 7, or on Mirage Mountain 5. Deerling can be found on Route 117 in Pokemon Omega Ruby and Alpha Sapphire, but only in the Spring form. To obtain Deerling in Summer, Autumn, or Winter forms you’ll have to either trade one forward from Pokemon Black or White or Pokemon Black 2 or White 2. If you already happen to have a member of the form you want, you can also breed it and the offspring will inherit the form of the parent.